How do I edit survey content? 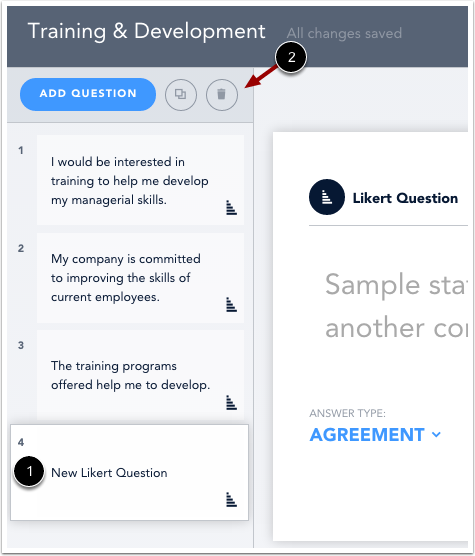 If your survey has not been distributed to learners, you can edit survey content. As you edit content, Bridge automatically saves your work. Edit content as necessary. To edit the survey name, click the name of the survey . You can also edit questions by selecting the thumbnail  in the content sidebar. When you select a thumbnail, the content appears in the main window of your browser . To add a new question, click the Add Question button . To duplicate a question, click the Duplicate icon . To preview the survey or the question you are currently viewing, click the Preview icon. To delete a question, locate and click the thumbnail . In the content sidebar, click the Delete icon . To return to the survey details page, click the Close icon. Previous Topic:How do I add survey content? Next Topic:How do I preview a survey? 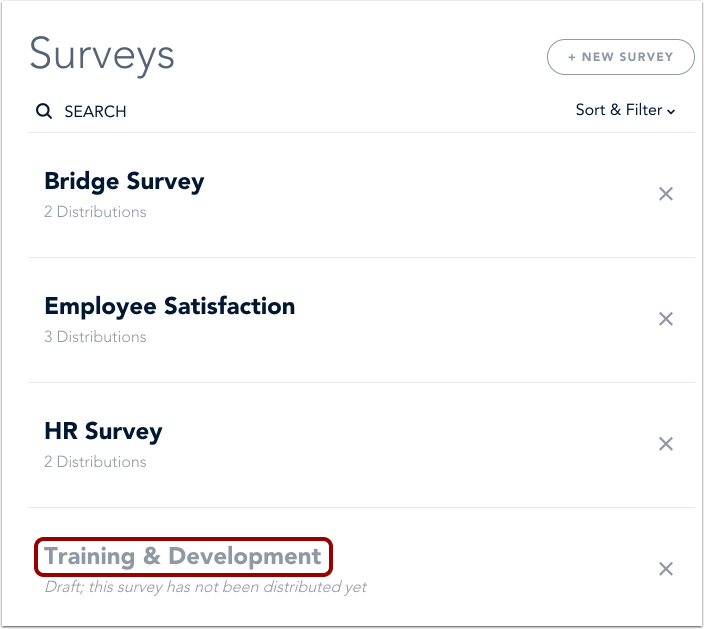 Table of Contents > Manage Surveys > How do I edit survey content? How do I preview a survey? How do I add survey content?